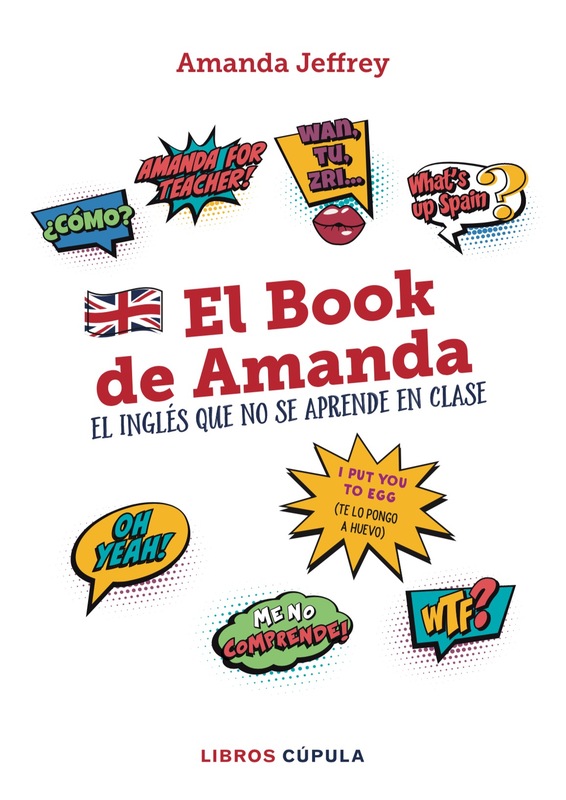 I am proud to announce that my book “El Book de Amanda – EL INGLÉS QUE NO SE APRENDE EN CLASE” has just been born. After Christmas, my wonderful agent, Juan Luis, called me to tell me that PLANETA wanted to publish my book based on my blog. I remember crying and laughing at the same time as I simply couldn’t believe it!!! It had always been a dream of mine since I was a little girl and, as you can imagine, it was the best Christmas present ever. As you already know, I’ve always been very passionate about English Pronunciation and REAL, CURRENT & USEFUL language for the real world beyond the classroom. So, I simply don’t have enough words to express what a beautiful and humbling feeling it is to be able to make a contribution helping people to love English (& other languages) as much as I do. Thanks for believing in me from the very beginning. BTW (By The Way), the official release is on 13th September and you’ll be able to find “El Book de Amanda” in all the bookshops. I promise, of course, to “keep you in the loop” as I REALLY can’t wait to see you all and hug you with all my heart!! !